Should Artists Adopt the iPad? Apples release of the iPad has been very well received. As an artist, my initial interest was in drawing on the device. I wondered if a lite version of Photoshop could be downloaded on it. I was disappointed to find that there was only a Photoshop Express app. This app is little more that a photo viewer and a minor editor. A more robust version may have to come a little further down the road. I do all my work on a PC with a Wacom Tablet in Photoshop. Being able to consolidate these items would be great. I also would like to draw right on the screen. Drawing on the screen is much like drawing on paper but unfortunately, I don’t have an extra $2,000 to put down on a Wacom Cintiq. To my joy, there were a few notable apps. I first found a FlipBook app which is a great little tool for bringing your doodles to life. Continuing my research, I found two impressive apps. Autodesk’s Sketchbook Pro and the ArtStudio app are great little programs for drawing and painting on the iPad. Both work with layers and can use different brushes. 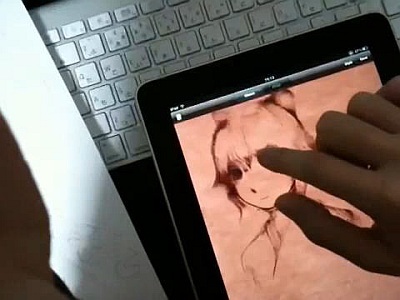 However, it is a little difficult (but not impossible) to draw and paint with your finger. It may be a good idea to purchase the Pogo Sketch Stylus if you plan to do a lot of drawing. It looks like you really can have a “digital tablet” that can be used to quickly produce compositions of different qualities wherever you are. Sitting at the airport, you can work on some of your storyboards or do some quick sketches of your people-watching. You can do a client visit and instead of lugging around your laptop, you can pull out your iPad and do something fast and at the same time impressive. Let it be known that the iPad has lots of competitors. Apple is truly the trailblazer and sets the stage for other solutions. It is yet to be seen if other products will make access to downloadable apps so easy and available. That is what makes the iPad so appealing and just plain old cool. In most cases, you are choosing between wireless carriers and GUIs or Graphical User Interfaces run on various operating systems like: Apple’s iOS, Google’s Android, Palms WebOS, Research In Motion’s BlackBerry OS, Archos 5 (on Android, Linux and Windows 7) and Microsoft’s Windows 7 OS. If you aren’t in a hurry to jump into one of these gadgets, it may be better to wait and see how things shape up. But for all those die-hard Apple users, waiting isn’t an option. New Colorado company rents training videos on cutting edge technologies in the creative arts fields of 3D, animation, directing, FX, drawing, painting, comics, Anime, and Manga. Creative programs like Maya, Photoshop, Lightwave, 3D Studio Max, and Modo are advancing in the arts and animation industries by enabling professional and amateur artists the ability to create professional quality compositions. Artistic Gurus gives artists the opportunity to learn from leading professionals in the art and animation fields for a fraction of the retail cost. 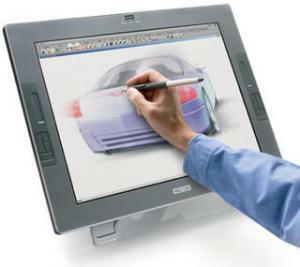 Artistic Gurus, Inc. is the largest rental service for artistic software and traditional arts training videos. It was recently started to fill a need for fast, low-priced and reliable training for creative individuals. Artistic Gurus has an industry focus on the creative fields of drawing, painting, sculpting, graphic arts, digital imaging and animation. Customers can rent art videos to further their knowledge or supplement formal education. In today’s world, software continues to advance and change at ever-increasing rates in the art fields. Artistic Gurus provides a solution to help the creative individual achieve success by staying in the know with the cutting-edge artistic software applications. Customers can rent art videos for training in various categories such as 3D Digital Art, 2D Digital Art, FX, Storytelling, drawing, painting, sculpting, graphic arts, Comics, Anime, and Manga. Each training video is produced by industry professionals. Customers will find some of the most popular trainings on software like Photoshop, Maya, 3D Studio Max, Lightwave 3D, and Modo at a fraction of the retail cost. Customers will have access to industry leading concepts in the Comic Book, Storyboarding, Digital FX, Film, and Character Animation trades. The training resources found here can supplement or complement formal training. Artistic Gurus, Inc. founded in 2010 and based in Greeley, Colorado is the number one source of hard to find and easy to rent artistic demonstration videos. They provide a vast selection of traditional art videos, 2D videos like Photoshop, and 3D videos that teach Maya, Lightwave, Modo, and 3D Studio Max concepts to Creative individuals. Videos can be rented in one week increments. You can then decide to continue to rent or go to the vendor to purchase the video for further use and reference. "I have a passion for art and where new artistically inspired software applications can take us"